NES homebrew has been around for a very, very long time. Chris Covell's Solar Wars, which is the first complete NES game developed independently, came out in October, 1999. This was a mere four years after the NES was officially discontinued in 1995. In those days, the Nesticle was the emulator of choice for playing NES games, but was very inaccurate at emulating the hardware. Nonetheless, Solar Wars established an important precedent by working on real Nintendo hardware. Unfortunately, if you wanted to play Solar Wars back in 1999, you had to modify an existing NES cartridge. Fortunately it uses a common PCB, but not everyone had access to an EPROM programmer and soldering and desoldering tools. The next step was the release of the first homebrew cartridge the Garage Cart, was released by Joey Parsell (Memblers) in 2005. It cost $42.00 and included Solar Wars and two other small games. While it still used a donor board, it was significant in that you could purchase one and play it on your real NES without any programming or soldering hassles. After 2005, collecting NES games and playing them on real hardware, as opposed to emulators, becomes a more and more important phenomenon. The 2007 release of the NES PowerPak flash cart helps revitalize the homebrew community. The PowerPak allows any programmer to test his or her code on real hardware with far more ease than by burning EPROMs. Many demos and games had been written during the dark ages of inaccurate emulation, but with the relatively low cost of the PowerPak and later the EverDrive N8, any game not tested on real hardware was increasingly unlikely be made. One important development in using new boards was the development of the CIClone, a clone of the NES's lockout chip. No longer were homebrew limited to donor boards, lockout-disabled front loaders and top loaders. Very few NES homebrew cartridges are released without a lockout chip clone. The last significant step for NES Homebrew was the release of Glider in 2008. For the first time, here was a game sold through a storefront, making it readily available for anybody to buy. Brian Parker (bunnyboy) sold it for a long time on his retroUSB site. It is also significant because it is the first cartridge to use completely new hardware, new shells and came in a box with a manual. No donor boards and no original NES games were harmed. More games like Battle Kid and Rise of Amondus would follow. Now NES Homebrew games released in cartridge form are essentially guaranteed to work on any official NES console. Now there have been at least two dozen homebrew NES games released in cartridge form, with more and more being released all the time. What about on the other side of the big pond? The NES originated as the Famicom in Japan. Even though the Famicom was only discontinued in 2003, there have been few reports of any homebrew software being released in or from its native land. The NES Homebrew renaissance has not really been seen in Japan. NES Homebrew has not been released in the 60-pin Famicom format. However, all homebrew games released to date will work in a Famicom with 72-to-60 pin converter. 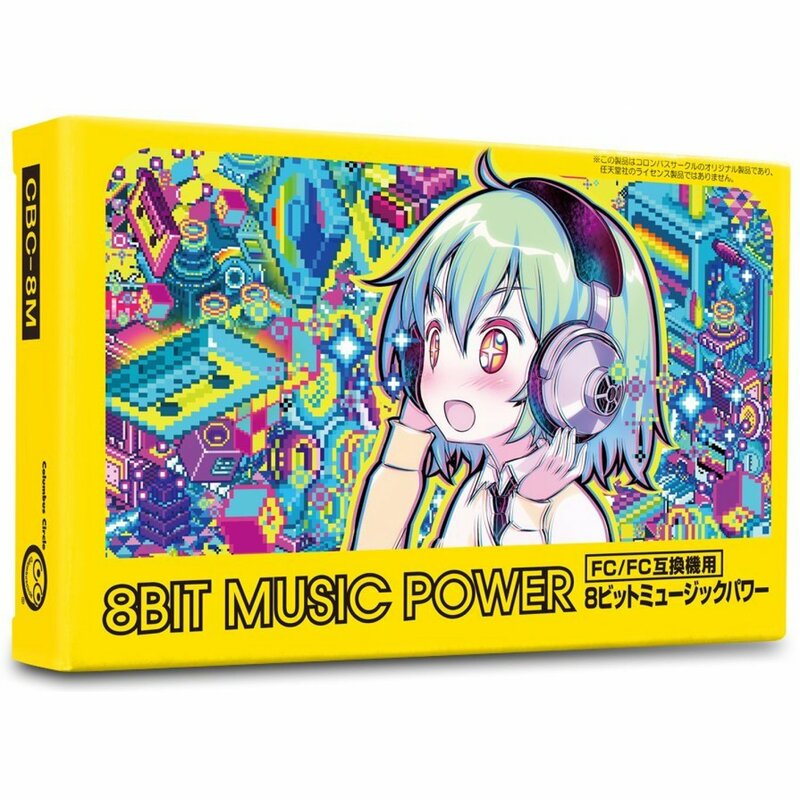 In late 2015 a cartridge called 8-bit Music Power by a company called Columbus Circle was released in a limited edition of 1,000 copies. You could have imported this cartridge from a site like play-asia.com. The software on this cartridge is a collection of some of the best new Nintendo music from Japanese homebrew composers. It rightly calls itself a chiptune album and does not offer a great deal of interactivity. It has a simple coin collection game and an object avoidance game which get a bit challenging as the difficulty level rises. The good news is that the cartridge came sealed in a box with a small manual to tell you how to use it. Even though the manual and some of the in-game text is in Japanese, the software is easy to navigate and is English-speaker friendly. Unless you use the program often, you are likely to forget what each button does. But here comes the bad news. If you open up the cartridge, inside you will find a cheap PCB similar to those used in your average pirate cartridge. 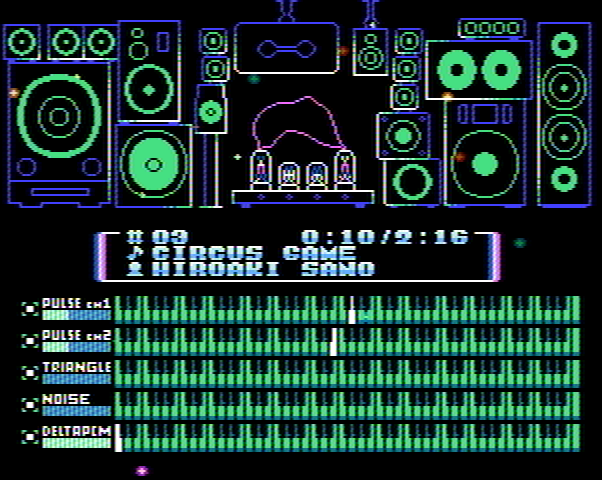 The 8-bit Music Power cart uses a flash chip for the PRG-ROM and the CHR-ROM, but they are both using 3.3v flash chips. This is what the board looks like : http://imgur.com/a/F2WMH/all The Famicom and the NES is based off 5v logic and works well with 5v flash chips. Some of KHAN Games NES releases use 5v Flash for both PRG-ROM and saving games without an issue. What happens when you put 3.3v chips inside a 5v console? If you are lucky, the game will still work. The AV Famicom usually will work with the 8-bit Music Power cartridge without issue, but eventually the chips will get hot (usually about after half an hour) and require time to cool down unless you want to blow a fan on the cartridge. 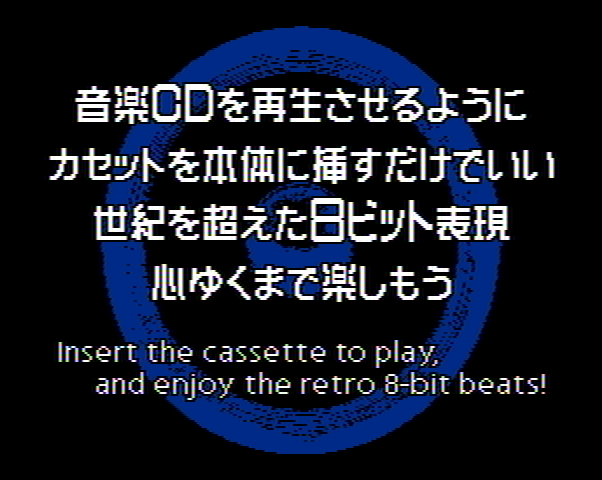 This silliness would never happen with a properly manufactured Famicom cartridge. I believe that the reason the AV Famicom tolerates the 8-bit Music Power cart is because it uses revision H CPU and PPU chips. These were the last revision of these chips before Nintendo retired the AV Famicom. You can also find them in the NES Top Loaders with the redesigned PCB to eliminate video noise, but these are extremely rare. Unfortunately, the revision G CPU and PPUs were the most commonly used Nintendo chips. You can find the revision G in all later Famicoms, all Top Loaders (except as noted above) and all but early NES Front Loaders. The revision G CPU and PPU will also be found in the Twin Famicom and the early AV Famicoms. Before that, the revision E CPU and PPU was used in many Famicoms, Twin Famicoms and in the early NES Front Loader. The 8-bit Music Power cart works with none of these systems. To Columbus Circle's credit, it does have a warning on the box that the cart may not work with some Famicom systems, "depending on the date of manufacture." I even read of a report of an 8-bit Music Power cart killing a Famicom with revision E chips. The problems of using 3.3v flash in 5v consoles has been recently explored by an electrical engineer named Rene from db-electronics. He wrote an article that explored the dangers of using these 3.3v flash cartridges in systems and advised people not to use cartridges like the 8-bit Music Power in their systems. The chips get hot because are not meant to operate at 5v and dissipate the excess voltage as heat. But the flash chips were not meant to be used in this way, and pull a lot of current without resistors between the cartridge pins and the flash chips. This also forces the console to operate at something closer to 4v than 5v, something it was not designed to do. 8-bit Music Power and its successors are no better designed than the NES 150 in 1, so you should not use them with real hardware. Columbus Circle recommends a Retro Freak. Play-asia recommends using an emulation based console like the Retro Freak or the Retron5 (with converter). These emulators simply dump the ROM from the cartridge and run a full emulator, but only work with boards they recognize. The Famicom library has a seemingly endless supply of PCBs, even amongst the 1,056 licensed games. This leads to dozens and dozens of mappers being assigned to Famicom games, and all games under a common mapper assignment may not work without game-specific tweaks. Fortunately 8-bit Music Power uses a standard MMC3 clone. 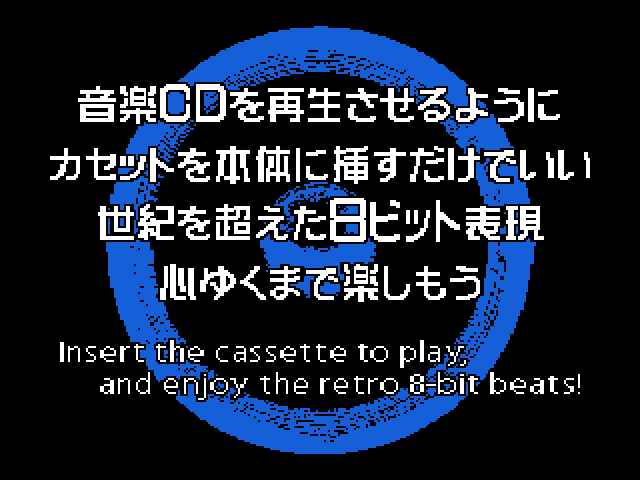 I do not know how solid the emulation of the NES/Famicom audio is on the Retro Freak or Retron5. Some Famiclones may be more tolerant of 3.3v logic, but many Famiclones have inaccurate audio like reversed-duty square waves. They also tend to have noisy audio and video signals. Why would you want to play such a cartridge on a cheap piece of garbage like a Famiclone or an overpriced emulator? The software has 12 different tunes and a lot of pixel artwork. It also had the aformentioned coin-grabbing game and a dodging game (essentially the coin game in reverse). The music is freely selectable and there is a "demo" screen where you can pick the pattens that roam randomly on the screen. The songs are quite varied, some are heavy on the bass, some prefer the higher tones, some have a fast tempo, some with a slow tempo. Most of the music is fairly catchy and tends to grow on you after a while. One interesting thing about the 8-bit Music Power is with the aspect ratio. If you look at the CD screen above, you will note that the CD in the background is not quite a circle on your TV. Similarly, when you look at the speaker cones on the speakers in the jukebox screen, the "cones" are still a bit taller than wide. I am using Nestopia's NTSC filter to give a very good representation on how the software looks on a real Famicom on a real TV. A CD and a speaker cone are almost always or usually a circle, but these images are a bit too narrow. Pressing the select button at any time essentially turns the background into oscillating bands of red, green and blue, but it does not reach the bottom of the screen as would seem it is trying to do. Perhaps this part of the program was tested only in an inaccurate emulator. The 8-bit Music Power cart was produced by Riki Iwasaki, who has also produced a music-oriented game called Kira Kira Star Night. He released a few copies of this game using donor carts and the ROM may be available online. Columbus Circle will be releasing an updated version of the game called Kira Kira Star Night DX on cartridge on July 31, 2016. The pre-order price is ￥5,378 on Amazon.co.jp but the price on play-asia is a more reasonable $44.99. 8-bit Music Power was also priced similarly. 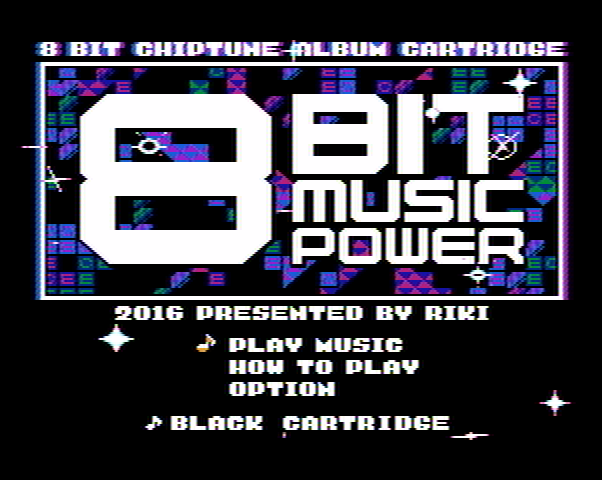 Riki has more recently released the 8-bit Music Power Final cartridge on March 31, 2017, which has an updated and more functional player and new tunes but loses the mini games. The player allows you to do things like mute individual sound channels. It is available on play-asia for $55.99. 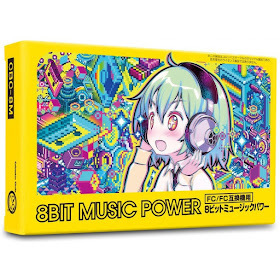 8-bit Music Power is no longer in production but a CD of the music is available on play-asia. According to reports, Kira Kira Star Night DX and 8-bit Music Power Final are more reliable than 8-bit Music Power. Kira Kira Star Night DX works in AV Famicoms, most Famicoms and NESes, but will not work in the RetroUSB AVS. 8-bit Music Power Final works in all of the above systems. You might think that if you are paying fair homebrew prices, you would get build quality on par with the NES homebrew releases. Unfortunately, you are quite wrong. Columbus Circle will be using the same kind of boards for Kira Kira as they did for 8-bit Music Power. If you want to cartridge that runs reliably on your real Famicom or NES, you will have to dump the ROM with a CopyNES or Kazoo INL_retro dumper, use a Famicom donor board (HVC-TSROM or HVC-TKROM with no battery) and fit it back in the shell without destroying the cheap plastic in the process. On Famicom World there will be replacement boards available for sale, so you will only need an MMC3 chip and a few passive components. A ROM dump will work on a NES PowerPak and EverDrive N8 of course. Strange about the 3V vs 5V issue. I would have expected that level conversions to be well known (either via dedicated shifter IC or with a diode). Your reasonable expectations have been dashed by cheapness and greed.